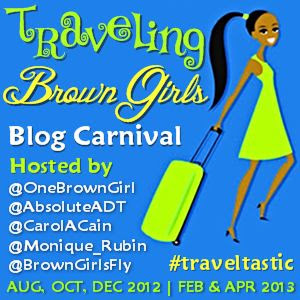 I am joining in on the Traveling Brown Girls Blog Carnival hosted by my friend of +BrownGirlsFly. I am a jazz lover so I am really excited about visiting Tobago for the Tobago Jazz Experience April 20 -28, 2013. I am so stoked that India Arie who will be performing in Tobago on April 28. 2013 liked my pinterest pin. Dionne Warwick and Melanie Fiona are also performing. A few years back I met a pilot in Miami who was flying home to Tortola. He shared with me his photos of his family and Tortola. This simple conversation created a desire in me to want to visit Tortola. So, I was excited to hear the news that there is an upcoming B.V.I. Music Festival being held in Tortola May 2013. I discovered that Spain hosts a Black Music Festival. I found it interesting that Spain celebrates Black Music. I would love to experience that celebration in the Spanish culture. Recently in Lagos, Nigeria I attend a Naijazz event during Social Media Week Lagos. I had a sampling of Naijazz or Nigerian Jazz and loved it. I would love to attend the Naijazz Festival held in South Africa. by seeing Return to Forever IV. Jazz Festival is on my Jazz Festival bucket list. So give me so great jazz music and warm weather. Those are great reasons for me to travel. Carnival Post: Oh, The Places I Should Go!